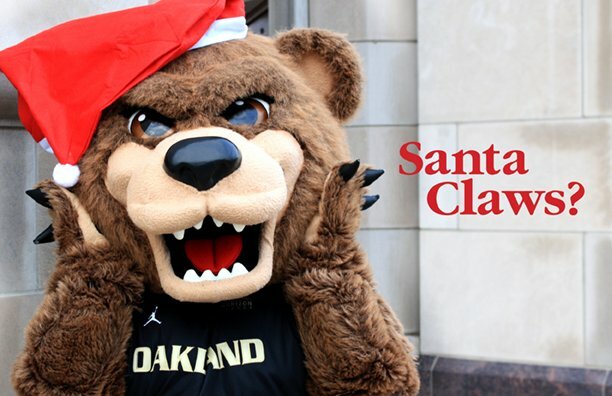 Download campus beauty shots for your social media cover photos, OU-related announcements, or just to show your Golden Grizzly pride on your phone or desktop background. In the seasonal tab, you'll find greeting cards that can be printed out at home or downloaded for social sharing. Have an idea for an upcoming holiday greeting? 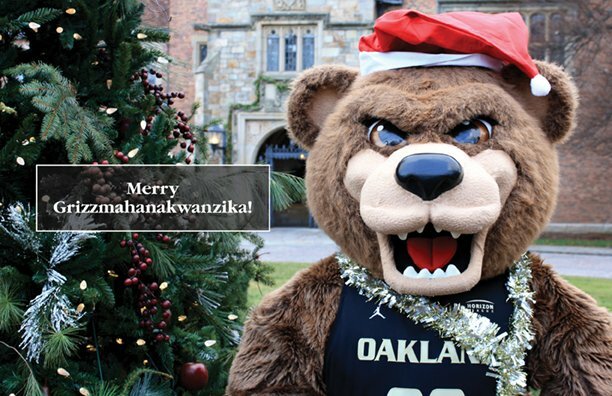 Send it to social@oakland.edu! Share your #FutureGrizzly pride and let everyone know that you chose OU with these social media graphics! Send your bestie or bae a Golden Grizzly Valentine's Card. Download these adorable social graphics or a printable holiday card to share with friends and family. 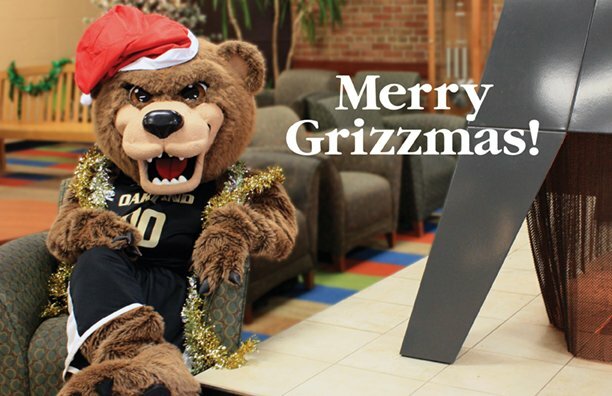 Be sure to use #ThisIsOU or #FutureGrizzly if you are an incoming student! Show your Oakland University pride this Halloween with a jack-o-lantern of The Grizz. Download the stencil and carve out the numbers in order from 1-7. This will keep your pumpkin strong while carving out the details in his face.